Charlottesville, Virginia may have a drastic and horrific resonance in modern America but is also a cultured university town with a rich history belying any casual associations. 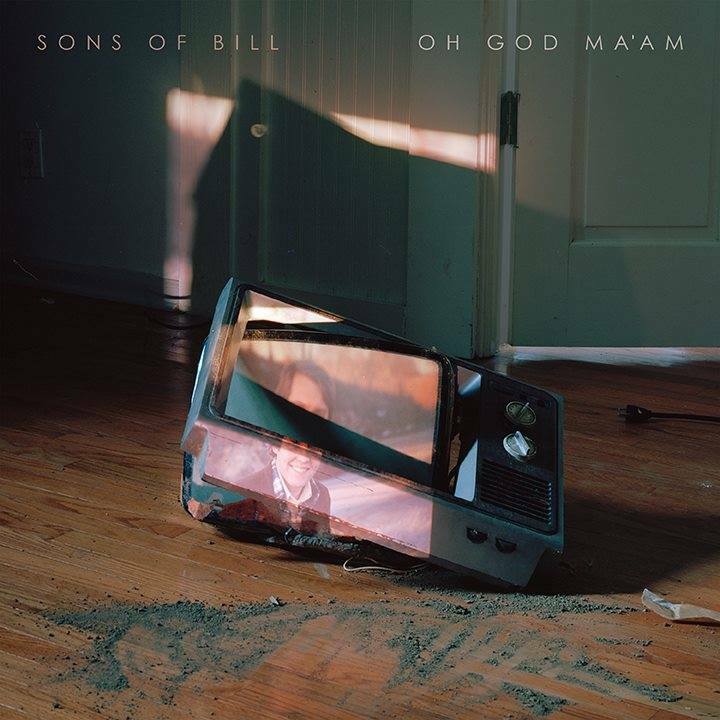 The city that shaped Thomas Jefferson is also the hometown of roots rock band Sons of Bill who here have delivered a rather welcome addition to the city’s musical landscape. Oh God Ma’am comes across like a calm slice of classic Americana on first listenings but, though it’s far from in your face, there are layers waiting to reveal themselves. The brothers Sam, Abe and James – the aforementioned sons of Bill [Wilson] – along with Joe Dickey and Todd Wellons have put together a quietly eccentric record. The overarching vibe may be twangy, contemplative guitars with appropriately perfect harmonies, but there are curveballs. Quirks like the blobby electronic intro to ‘Before The Fall‘ are lobbed in. It is done in a very civilised and nice manner but, out of place little oddities like this spatter the album with much more interest than is common for the genre. Straight up Americana will always sell so it’s pleasing to hear a band adding a few angles. It seems this jarring of two approaches is something the band wrestle with as their whole raison d’être. About ‘Easier‘ – a love song featuring an appearance by Molly Parden – James Wilson notes, “There’s a strange unspoken malaise with my generation, ironic and sad. We’re all born into our contemporary moment with a thick post-modern crust that’s hard to get through. I think it’s important to try and sing about love and hope in some genuine way, now more than ever“. The arched eyebrow wrestling with simple sincerity. The poetic angle definitely is dominant across the whole record but there is a welcome antipathy to leaping wholesale into the swimming pool marked meaningful. It’s lively and fun and not drowningly romantic. He may be coming at it from the other side – trying to break through his natural, detached, modernist attitude with a little soul but either way, it’s a welcome amalgamation. Touring the UK in August, expect faultlessly crafted and classically structured songs with a slight edge. That thing that separates it from so much middle of the road dross. Such dross may well sell but let someone else churn it out. Tracks like ‘Firebird ’85‘ with its dancey chug show a band at least trying to be different. They may be trying to be more sincere and tone down their generational cynicism and these ears may prefer a little less straight up romance but it doesn’t really matter. The result is a melding of approach roads that lifts Oh God Ma’am above the vast majority off efforts paddling about in similar waters. A considered but excellent record. Oh God Ma’am is released on 29th June through Loose.